Here's the next Craft Project Central project, and it's designed by Monika Davis. 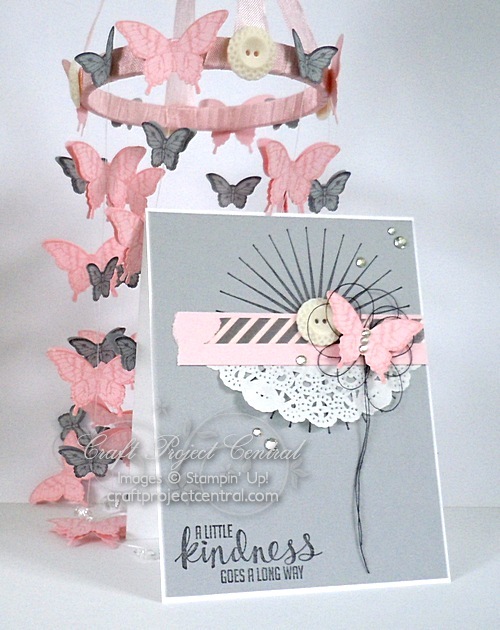 You can see more of her creations on her blog, M.A.D. Stamper. 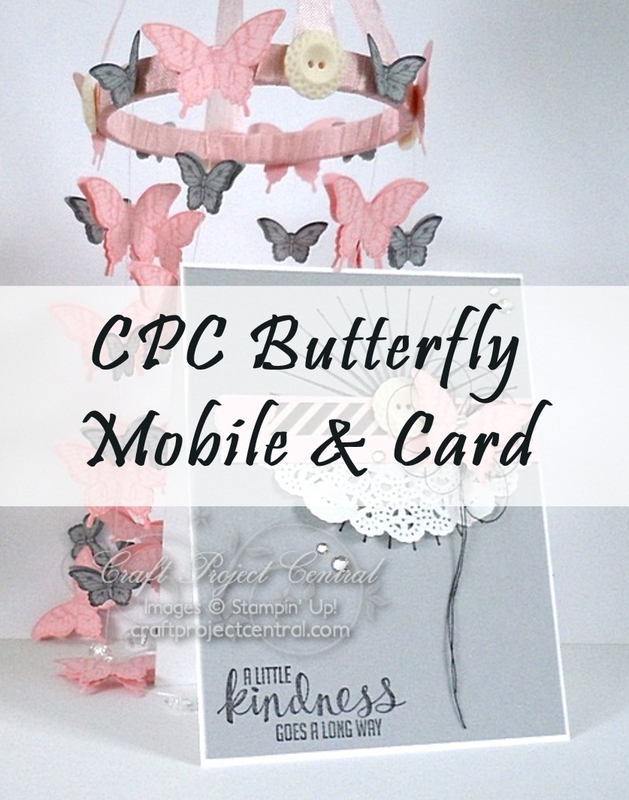 Make this sweet butterfly mobile to decorate your craft room or give it away as a special present to a sweet friend who likes butterflies. It’s easy to change the theme and make this mobile for a baby shower or as a wedding decoration. Great for a stamp camp or as a class project.